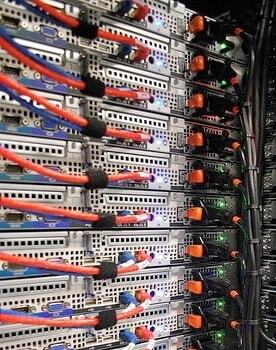 Managed Dedicated Servers with Level(3) Bandwidth! Why going with L3server for your business server? L3server provides fully managed dedicated servers to businesses concerned about data security. What makes us different is (a) our implementation of a whole catalogue of security programs and patches, customized to meet the special hosting requirements of your business. (b) We only provide first class quality hardware (Dell and SuperMicro server hardware, HP 48-port switches, etc.). (c) All this in our location inside the Level(3) data center in Hamburg, Germany (our office is 10 minutes away) with the most advanced technology, a great network within Europe and to the United States, and with mostly Level(3) bandwidth. Network uptime is as close to 100% as you can get. (d) Our support is outstanding; we even help you with full 'PCI compliance' for secure credit card processing. Also see our discounted server section for self-managed servers (of course, also fully supported by our dedicated team whenever you need assistance). Click here for Ping Test Hamburg. Logcheck - installation, configuration, tuning, hourly email updates - The logcheck tool allows summaries of log file entries to be mailed to a system administrator via a cron job. These summaries can alert the administrator(s) to any anomalous events upon the system, from errors with daemons to intrusion attempts.